Info: This freeroll is for PokerMarket.com users only! The tournament will be Listed under Tournaments -> Restricted from the beginning of May! the password will be sent to all registered pokermarket users at bwin and partypoker. Can you email me the password please. Many thanks. you need to have an account with pokermarket at bwin or partypoker in order to get the password we want to reward pokermarket users for their loyalty. once you created an account with us, let me know or contact support@pokermarket.com. 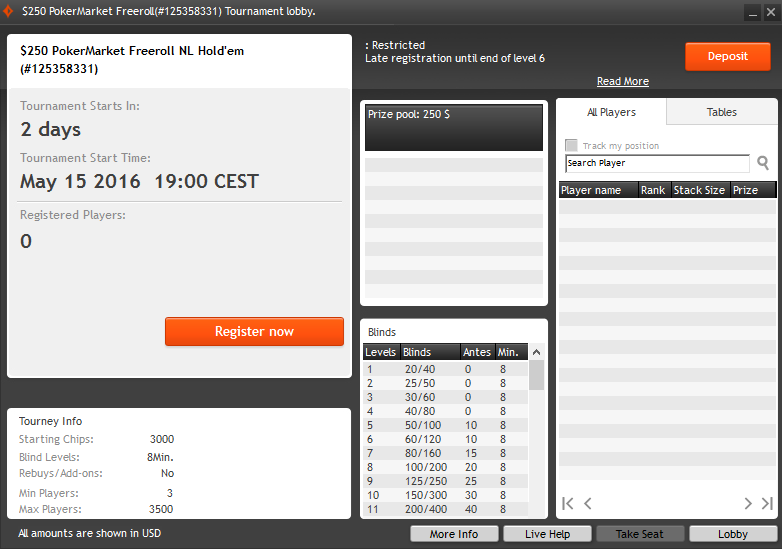 Hey, unfortunately your PartyPoker account is not tagged to us and therefore you are not eligible to join the freeroll. However, you can create a new account at Bwin or create a new PartyPoker account, if your current account is inactive for more than 6 months. Once you've created an new account just contact support@pokermarket.com. both of you don't have an account with us yet, at least we don't have any account details from you. Please send your bwin/Party name + mail address to support@pokermarket.com. We will check if your accounts are tagged to us. Can u send me password to my email,please! My party poker name LVDavids. The post was edited 1 time, last by lvdavid ( May 15th 2016, 5:35pm ). make sure you have a registered bwin or partypoker account with us! 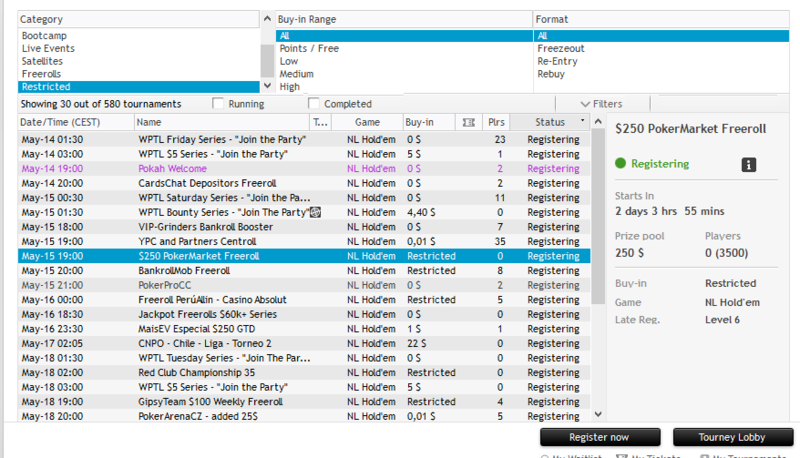 Hey, just a quick question, how do i actually go about registering my Party Poker account with you?